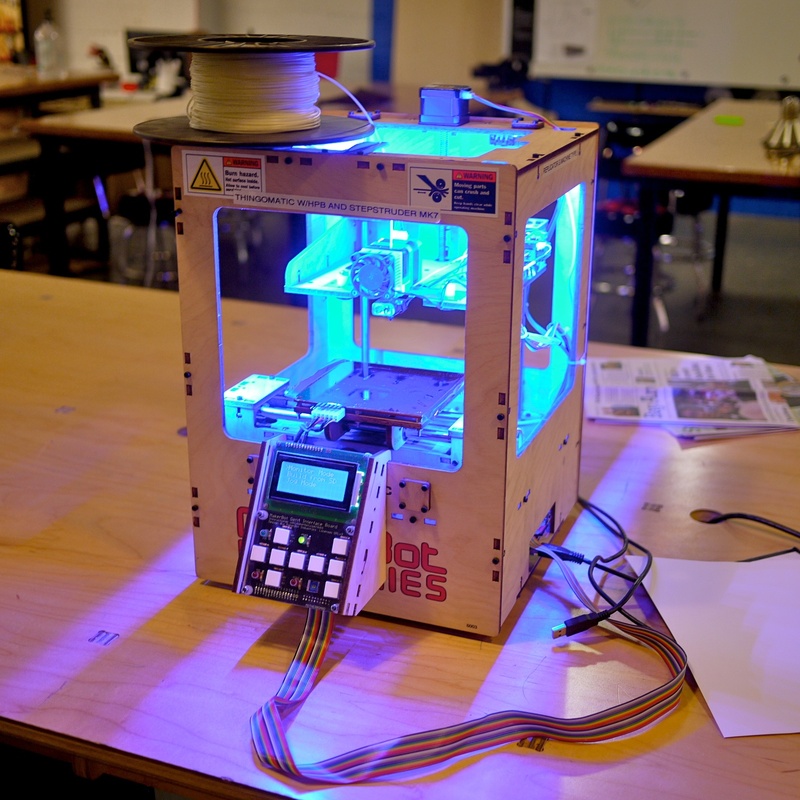 This is a simple 3D printer. It can make almost any 3D shape out of ABS plastic (the stuff Legos are made of). It ‘prints’ objects like an inkjet printer, moving around the print bed on rails and laying down a very thin layer of plastic.